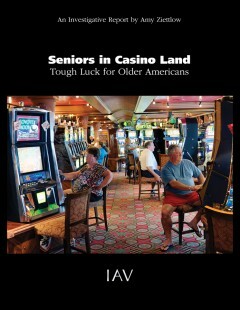 In 2012, over 50 percent of those patronizing a casino were over 50 years of age. Have casinos become today’s senior center? Come with Amy Ziettlow in Seniors in Casino Land, as she travels through America’s casinos, eating at the buffets, playing the slots, and talking to as many seniors as she can. A stark picture emerges. A minister in the Evangelical Lutheran Church in America, Amy Ziettlow has served in congregations in Illinois and Louisiana. She writes for the Huffington Post and the Atlantic Wire. For over a decade, she has been actively involved in hospice care, most recently as COO for The Hospice of Baton Rouge, as well as serving as a chaplain visiting dying patients and their families and coordinating and training hospice volunteers.